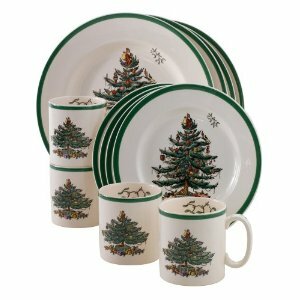 Over 70% Off on Spode Christmas Dinnerware & Serving Pieces! 1 Day Shipping! Great deals at Over 70% Off on Spode Christmas Dinnerware & Serving Pieces! 1 Day Shipping! This is high quality dinnerware! Order soon to get it here tomorrow in time for Christmas! « Deal of the Day: Pirates of the Caribbean Movie Collection 55% Off! One-Day Shipping! 70% off is fantastic. I’m going to go take a look. Thanks for the share.